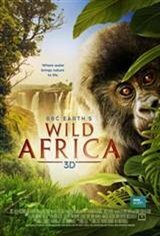 This film takes audiences on a spectacular journey across, over, and through the magical realms of the wildest continent on earth. Water, the interconnecting force of this enchanted kingdom, serves as a guide, shaping wild Africa and conjuring up life wherever it journeys...travelling above the plains on seasonal winds, cascading along raging rivers or sheltering coral cities. Audiences will be plunged into fantastic places and meet amazing creatures, discovering the fascinating secrets of this incredible world. It's an adventure where you will truly believe the real world is more extraordinary and awe-inspiring than any fiction.